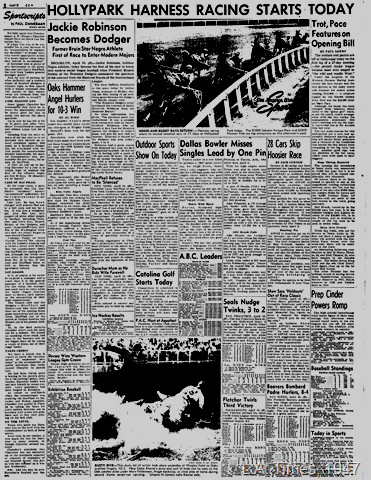 April 17, 1947: Jackie Robinson’s signing with the Dodgers is Page 1 news in the Sentinel…. … And on the cover of the sports section in the Los Angeles Times – and no picture or even a Page 1 index item. 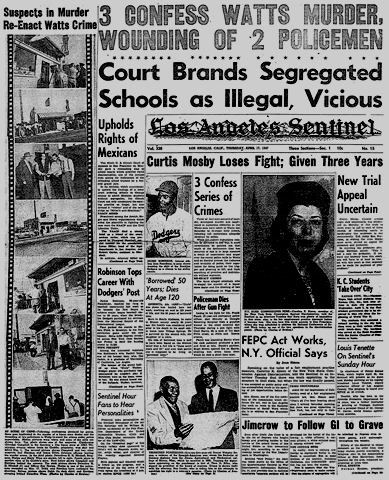 This entry was posted in 1947, African Americans, Dodgers, Sports and tagged 1947, African Americans, Dodgers, Jackie Robinson, sports. Bookmark the permalink.